Hollywood Railroad: Exhibit K: Kenan Thompson Said What? 1998: I've just finished a show at The Tamarind Theater on Franklin Avenue in Los Angeles (now the theater for Uprights Citizens Brigade) and my godparents came to the show. Both theater producers, they surprised me with dinner in Beverly Hills at an Industry eatery with late hours. We got seated, me looking at the photos of celebrities and iconic one-sheets lining the walls. We have a nice table and it's all good since I've still got on stage makeup and a wall of screaming bleached hair. The table next to us is empty until Kenan Thompson and Kel Mitchell are seated next to us. They're both 17 years at the time and have a couple of young lady friends with them. They're working teenagers with a TV series and, for the moment, like any giddy high-school age teens, except with more money. I clandestinely asked if my table could be moved. Not for any other reason than my table was talking pretty blue and it's awkward partying next to...teenagers! I'm 27 years old at this point and it's just odd, nothing personal. I'm sure they're cool but they're goofy and young and with our tables thisclose it feels like being at the kiddie table. There's no free tables so I sit next to them, silently happy for their success. They're Nickelodeon stars...and Black!...and God knows when I was of Nickelodeon age there was only like one Black kid on the whole thing, inYou Can't Do That On Television, so Keenan and Kel must be rock stars -and there's two of them in one cast. Wow! As an actor, casting is never as blind as thought, so there's progress. I've been able to earn a check in some aspect from the entertainment industry since I was 15 years old. My first director was Joseph Walker, a Tony Award-winner for The River Niger who quit the production I was working on at Howard University on the first day of rehearsal - with the cast's checks in his pocket, no less. Joe got seriously pissed with the show's producers... and so was my mother when she saw my empty hands on my payday. No Momager she, she refused to sign any work-release forms for me on any projects until I was of age to sign them myself. At the time it was a hard pill to swallow but no parent likes to see their kid taken advantage of, in any profession, and it only gets worse, so I worked on stage and did plays for years, into adulthood, in Chicago and L.A.
Now there are theater companies and production offices in every city that any performer worth their salt wants to conquer that may not be and are not diverse, no matter what you as a performer do in your audition. I have heard explanations of why I wasn't cast for a role I'd audtioned for several times, like 'It would become avant-garde' and other esoteric drivel. . I moved into editorial trade journalism and producing in my thirties and the same applies: there's companies by the scores, countless institutions and journalism outlets that are hardly diverse. The numbers and percentages are a pitiful blight. Making a living in Los Angeles for 17 years, I know this to be true. And It doesn't come up much. We all know it but no one wants to be blamed and no one wants their work preceded by color or gender codes. The reality is you'll spend many more years arguing about parity on other levels besides race. It's come up once in my career, with a former editor, over a contract issue, and while it was not pleasant we worked it out privately. Everyone just wants to work. That's why we're all doing this. Speaking for situations I've seen in Los Angeles - and I've had entree to many of them in my own reality and having worked for The Hollywood Reporter for seven years (2001-2008) covering the event circuit at least three nights a week after a full editorial shift - it's a reality not discussed and often masked by exclusivity. If you're at an Oscar party where only three hundred people, paying four-figures (tax-deductible) for tickets, are at then it feels to some, at worst, like natural selection: i.e. if everyone could be here, they would be, but they're not, and we are! And it's not like L.A. media and entertainment is an easy business to break into - most people have had to pay some serious dues for years and make some miserable money before they enter any comfort zone in the Industry, so maybe everyone feels like a minority in that there's only so many jobs for a global number of aspirants and if you're on the manifest then that's the way it is. This is what can be rationalized in any business. However, rationalizing it to any modern person outside the bubble of the Industry is another story. I found this out one rainy Saturday morning in 2002 when Harry Potter and the Chamber of Secrets had its premiere in Westwood, on L.A.'s Westside. My spouse was someone who never wanted any part of Hollywood events or premieres, admittedly glad to be a consumer and not in the mix of it. At all.The exception was the second Harry Potter movie. I RSVP'ed, we parked and made it to the theater where the industry crowd was in a line going down the block, even in the rain. We were the only Black people there. I was used to this as a general fact but not Bebbles (my spouse), a nurse and health-care worker. The rain worsened and we ended up all being corralled into a winding snake-like queue, full of people with wet hair, industry execs' scowling teenage daughters with their grimaces and sibilant 's'es from overpowering braces. We all wound closer in a coil as the rain came down and I noticed Bebbles sweating and saw their dilated pupils. I asked what's wrong. "Where is everybody?" Bebbles asked. "Here, " I said. "No, I mean, like Black people, this is hundreds of White people and we're the only ones here. I don't feel comfortable." Bebbles whispered, cold sweat forming. Now, I'd been to plenty of Bebbles' industry events in the healthcare industry... diverse, inclusive affairs at restaurants and The Queen Mary, etc. This was different. "These are powerful people - they are supposed to be modern. There's no one else qualified to be here except you?" Bebbles said, inverted as much as privacy would allow. At this point I understood what's being said but I don't have the answer, except the obvious one we witnessed, which was no one was really looking at if from an aerial, insular view. It was normal - for them. "Can we just leave? Seriously, just leave and see this when it comes out next week at Mann's Chinese Theater with, like, people in the real world? That'll be more fun." We left. Walked in the rain back to our minivan and the relief was palpable. And depressing. Talk about a ride home! What could I say except that I knew it was fucked up but what could I do? At least we were two more Black people - okay, the only Black people - there and adding our own presence to the mix - a burden too weighted for my civilian spouse and the escapism promised by a fantasy film. It wasn't my fault and nothing I could defend or justify, but it was my professional reality. I was the only Black person in my daily newsroom (not counting Features, or the security guard, or the mailroom worker) but we didn't ever acknowledge it, we were too busy working on a daily magazine five days a week. I was there on my own merits but also knowing I'm not the only qualified journalism professional in town. Leaving the premiere, it was a dark moment in the car, making our way back to Los Feliz and talking intimately about a problem as old as our great country. Which brings me to Kenan Thompson and his comments to TV Guide yesterday regarding the lack of a female black comedienne on Saturday Night Live and why it's been six years with no addition to the cast of such a performer. His money quote was "It's just a tough part of the business...Like in auditions, they just never find ones that are ready." Viewers, civilians and people in media went viral in their outrage at what was just, well, ridiculous. Never mind that, depending on who you ask, Saturday Night Live hasn't been funny or watchable in its entirety since Toonces or the Tina Fey parts. Lorne Michaels, icon, mogul, gatekeeper, star-maker, is considered the Daddy of it all and is revered as anyone with his decades of achievements and Baby Boomer cred warrants. My sources tell me of table reads that are like church, that genuine laughs are the rule but everyone laughs anyway. I am one of millions of '70s kids who manually turned a TV channel knob to sneak whatever we could of the first cast of SNL's Not Ready For Primetime Players in all their manic, stoned glory before our parents came home. Whatever the case or politics behind this institution of television, an employee essentially saying that in a country of hundreds of millions there's just not one prepared, funny Black woman who could add her talents to an arguably funny sketch comedy show sounded...insane. I don't know Kenan Thompson, I don't know Lorne Michaels. But to hear such an explanation for a lack of a minority performer is just decades beyond where most modern audiences - and human beings - are at with this conversation. What Kenan Thompson did get right was the "It's just a tough part of the business" part. It is. Again, not knowing him, and as ludicrous and infuriating as his explanation was, maybe this is the sentiment of someone who's been working on sets and rarified environments for at least half his life? I'm at least 9 years older and while my career is completely different, I know how the sausage is made and the tough part of why this business isn't diverse isn't anything I would like to be asked to justify or explain when I didn't create the problem. I try, along with anyone else, to counter it with my work. It really was a question Mr. Thompson should have directed to Media Relations where at least the spin would have been less offensive. Here's what I know: diversity is a problem. People don't like being blamed for the lack of it. Some people have the power of their pen to change it, some do not. In a business that thrives on creativity and access, you have to produce, you have to supply the content, and the sometimes messy reality can't interrupt that suspension of belief that butters most of our bread. I think if you're lucky, you see your peers as just that and keep your eyes on the audience. Don't play to the room, play to the ones who pay you with their attention, and if you're lucky enough to work with really cool people, all the better. The diversity problem isn't the audience's creation, it's institutional as it is anywhere else. You can push for diversity while doing it with the truth being that this person is the best for the job. I've done it in past hires and it was seamless, rational, not a cause, just the actions of one person with the clout to do it and my teams were stronger for it. I can't and don't attempt to rationalize the irrational. 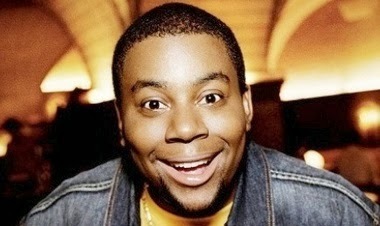 I wonder if Kenan Thompson feels the same. It's 11 years since that Harry Potter premiere. Bebbles is gone to the angels. I just turned 44. I'm working. And my Harry Potter & The Chamber of Secrets DVD still sits with the rest of the DVDs on the shelf. I have yet to watch it. I plan to. But for now, it's too painful - not just for the loss of the soul mate I'd like to have seen it with, but for a painful, private, honest conversation in the pouring rain about...nonsense.